A settlement demand letter is a formal offer from someone to enter into an agreement with them to settle a legal dispute. The terms used in settlement demands usually ask an alleged wrongdoer to pay a certain amount of money with the agreement made that if they pay the amount "demanded" the individual or business will give up all other legal rights to take further legal action (including the right to sue you) for any claims they may have against you. A settlement offer for you to pay them money and in return, Getty will not take further legal action against you. The cease and desist part is easy to comply with: just remove all copies of the images from website and blog pages and the actual images files from your server. The sooner you do this, the more it will be to your legal advantage. If you are sued, a judge will look at whether or not you immediately complied with Getty's cease and desist order. If you did not comply or did not comply within a reasonable time frame, you may be held liable for more damages. Even if you did not place the images on your website yourself (i.e., your web designer did, or the image(s) came with a template you purchased) you can still be held liable for copyright infringement. Ignorance is not a defense and it will not get you off the hook. 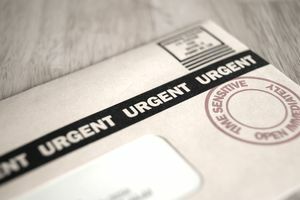 The law does not require you to pay the amount in the demand letter, and Getty will likely negotiate a lower fee if you push back, however, if you do not respond you could find yourself in deeper legal troubles including being sent to a collection agency, subject to constant harassment, or even get sued. Getty Images has a license compliance department staffed by low-wage workers who are often law students and are not familiar with the nuances of copyright laws. For this reason, it is often very difficult to persuade Getty to stop pursuing you. If you cannot pay the demand, are being pursued falsely, are outside of a statute of limitations, or Getty themselves has not provided proof that they even have the rights to the images they are asking damages for, you should consider hiring your own attorney.